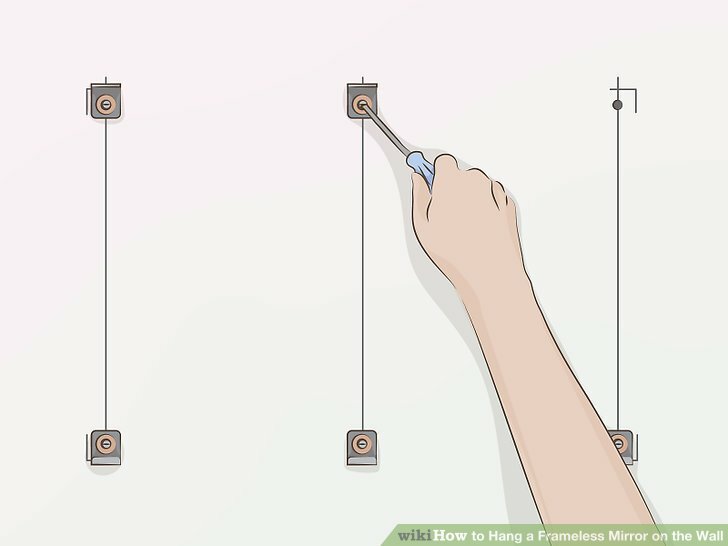 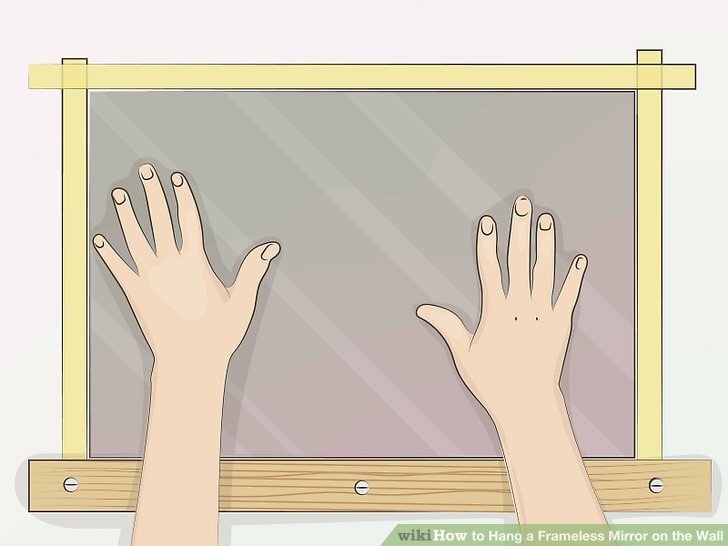 Mark where you want the mirror to hang using a pencil. 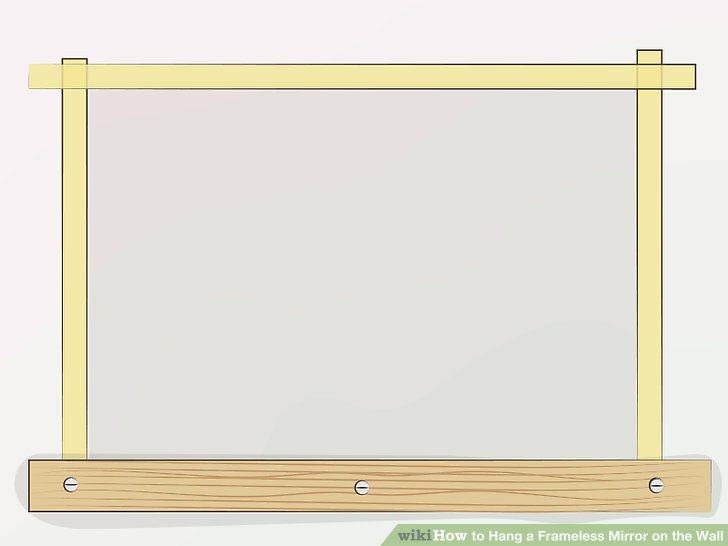 Hold the mirror against the wall in your desired position and mark the top and bottom corners using a pencil. 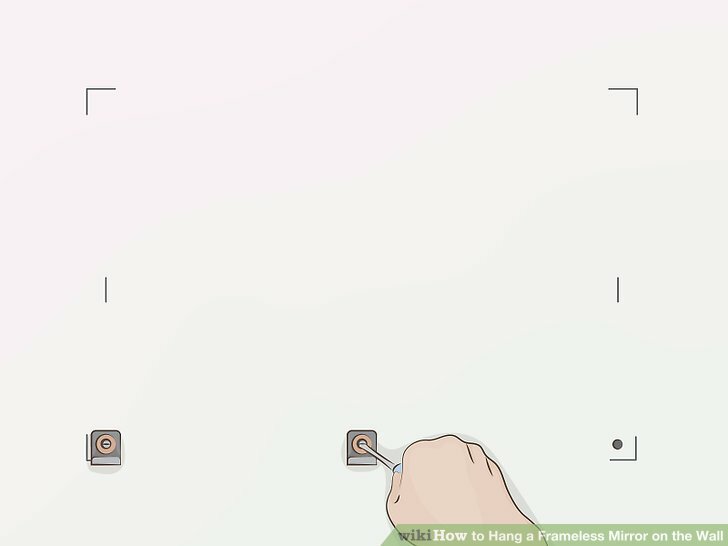 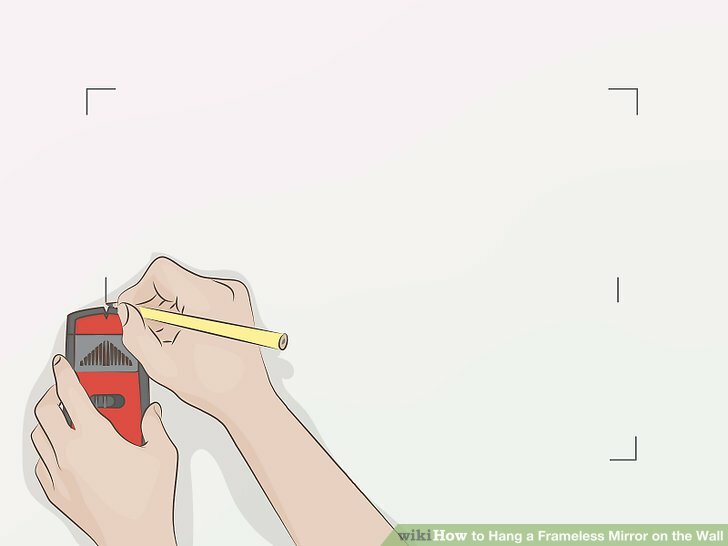 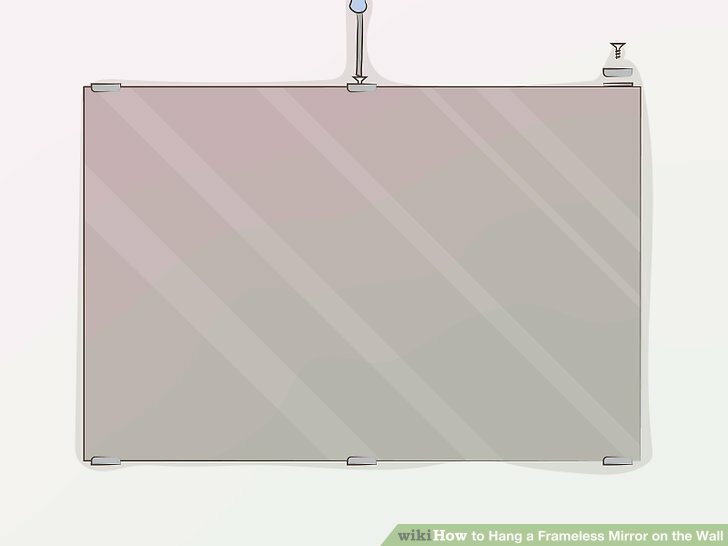 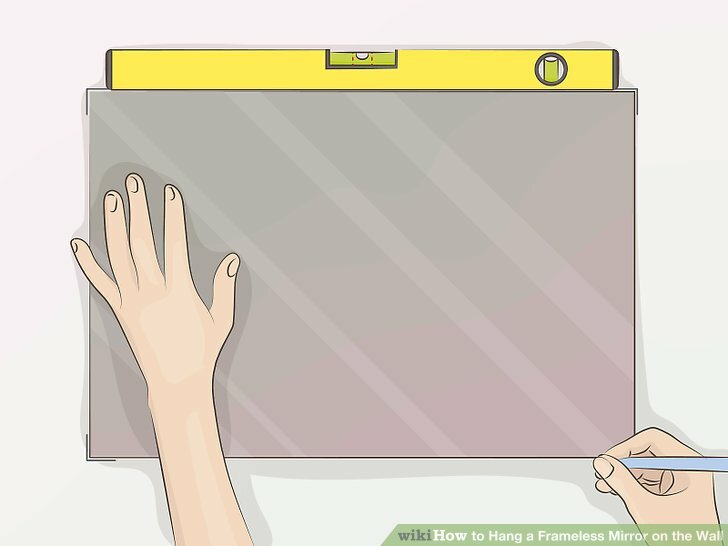 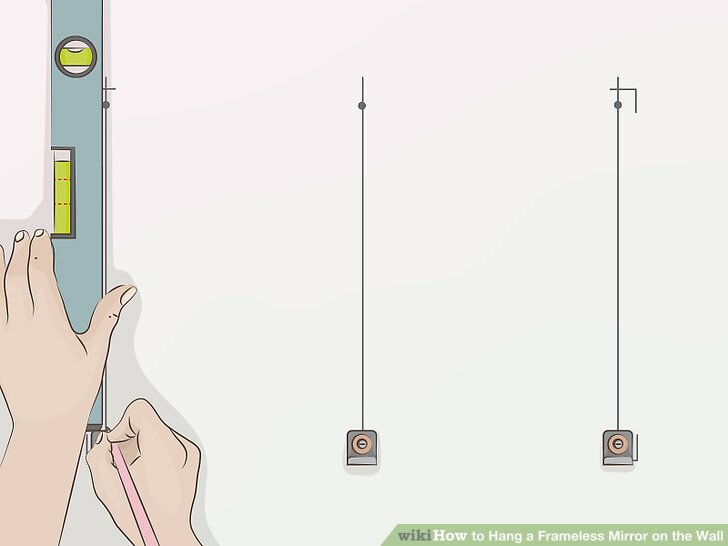 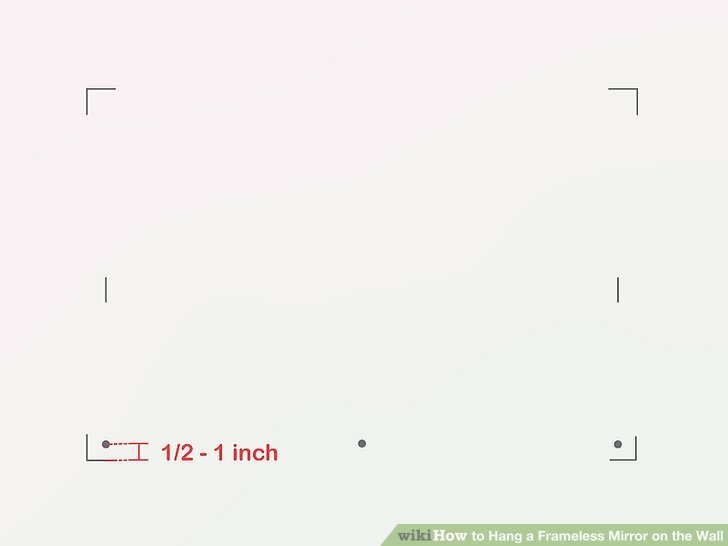 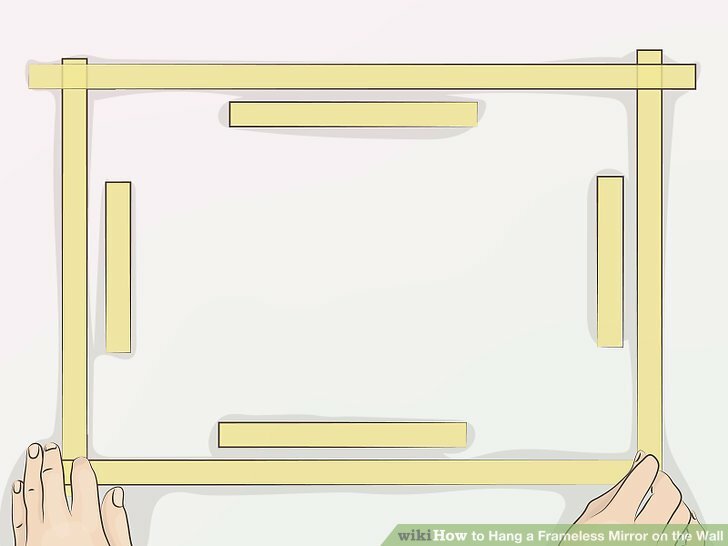 Use a level to ensure that the mirror will not hang crooked. 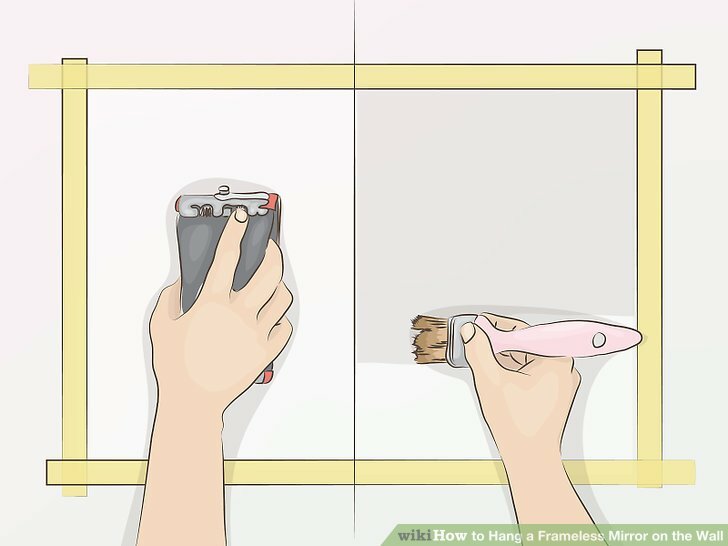 Parallel to the lines you've drawn but about inside, stick 4 pieces of painter’s tape to the wall. 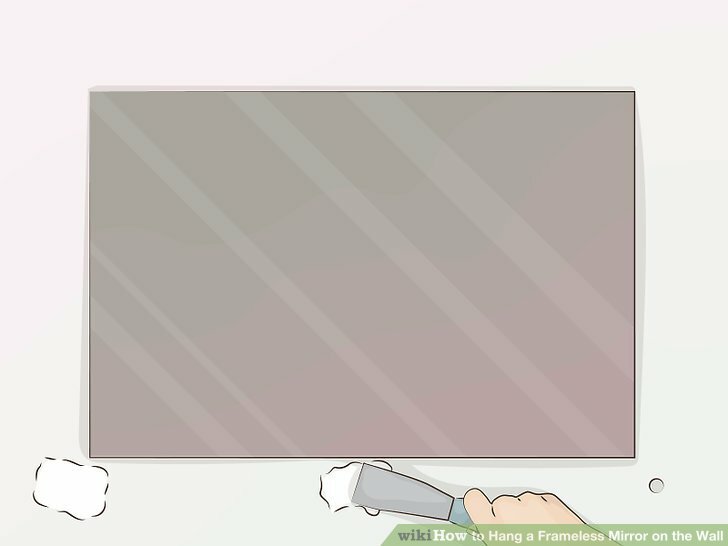 Apply the adhesive to the back of the mirror. 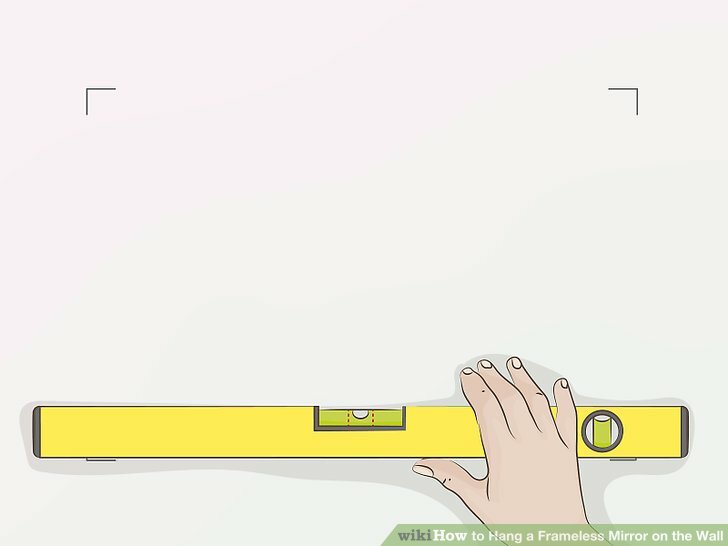 You'll need a high-grade adhesive known as mastic, which is often used in construction. 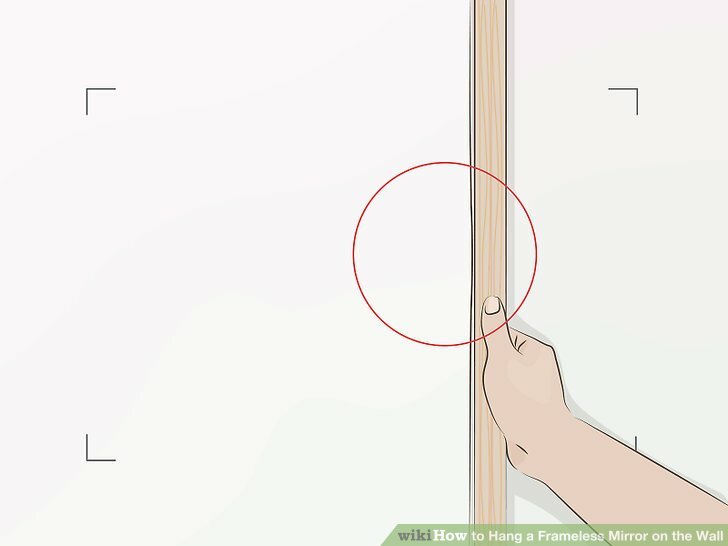 The manufacturer will recommend the ideal pattern for application. 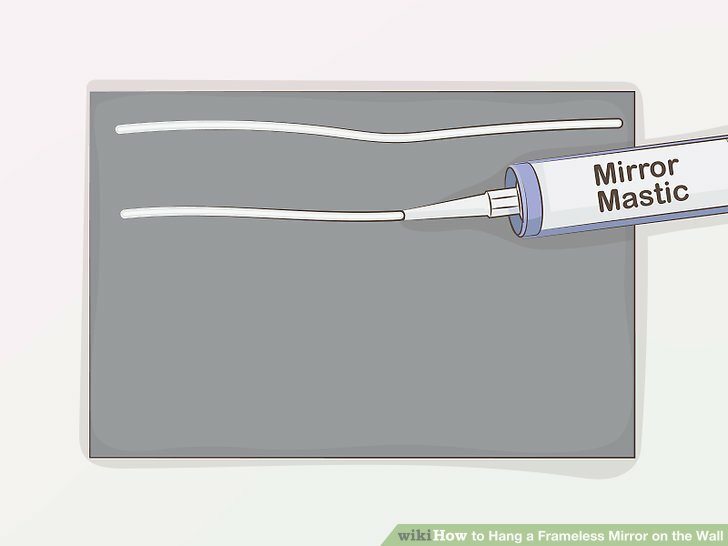 Make sure to keep the mastic at least from the edge to prevent it from squeezing out when you press it against the wall.